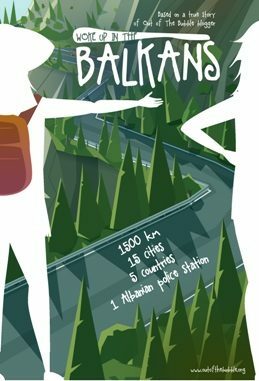 What if I tell you that 1500 km of hitchhiking through 5 Balkan countries can bring you to the police station? What if after a good bottle of wine by the sea, you will have to walk 10km under the rain? And after all, you may get lost in the woods of Bosnia and Herzegovina! This is a true story of my best friend Maja and me conquering the Balkans, hitchhiking, and Couchsurfing all over Macedonia, Albania, Montenegro, Croatia, Bosnia and Herzegovina. “Woke up in the Balkans” will bring the nomadic lifestyle a bit closer to you. You will understand how challenging backpacking can be for two female travelers and how to deal with danger on a road.